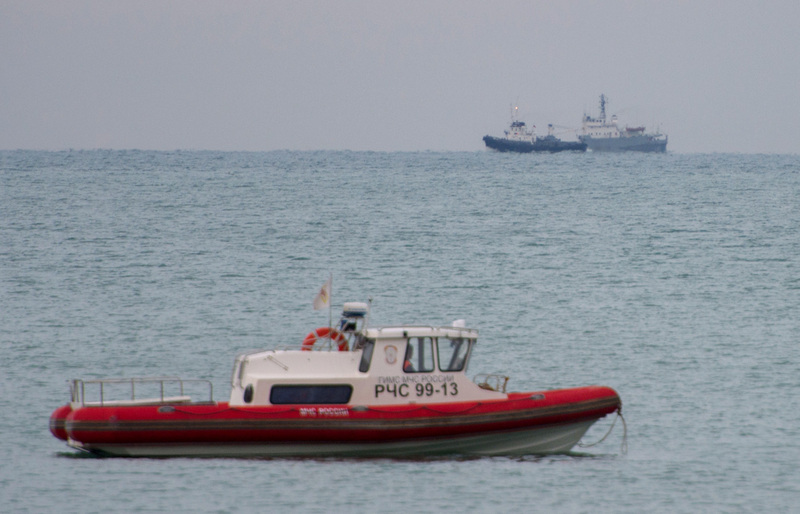 The search for the flight data recorders from the Tu-154 aircraft that crashed into the Black Sea on Sunday continues, it is impossible to give the dates when they may be found, Russian Transport Minister Maxim Sokolov who leads the government commission probing into the crash, told reporters on Dec. 26. "There is no clarify yet concerning the flight data recorders, the search is underway," he said when asked when they may be found. Sokolov earlier said that the aircraft’s flight data recorders are not equipped with radio beacons, and they will be searched for with the use of radar. "Flight data recorders of this type of aircraft are not equipped with radio beacons. Deep-sea submersibles, including radio navigation equipment and deep-sea radar, will be used in the search operation," the minister said. A Tu-154 plane from Russia’s Defense Ministry crashed in the early morning hours of Dec. 25 shortly after taking off from the Black Sea resort of Sochi. There were 92 people on board the aircraft, including eight crew members and 84 passengers that lost their lives in the plane disaster. Among those on the fatal flight was the Executive Director of the Spravedlivaya Pomoshch (Fair Aid) charity fund, Elizaveta Glinka, better known to the Russian public as Dr. Liza, as well as military servicemen and nine reporters from Russia's Channel One, Zvezda and NTV televition channels. The plane was also carrying nearly three dozen members of the world-renowned Alexandrov Ensemble, an official army choir of the Russian Armed Forces. The ensemble was on its way to celebrate New Year’s Eve with Russia’s Aerospace Forces at the Hmeymim air base in Syria.